The Art of Living Founder claimed that Ramchandraji Maharaj of Nirmohi Akhada -- one of the parties to the Ayodhya dispute -- had requested him to intervene in the matter. 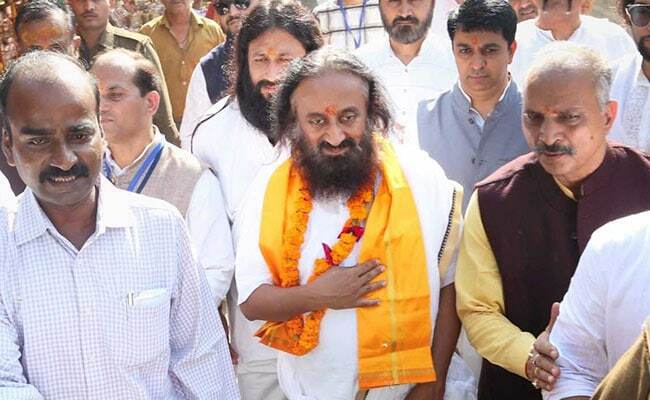 Ahmednagar: Spiritual leader Sri Sri Ravi Shankar, who has been trying for a solution to the Ayodhya issue through mediation, today said he has no "ready-made" formula to resolve the Ayodhya land dispute, but is confident that a solution can be found through talks. After attending a programme in Ahmednagar, Ravi Shankar said that he had stopped his efforts to mediate in the dispute in 2002 as a lot of leaders took interest in resolving the matter, but recently leaders from both sides approached him and requested him to take a new initiative. "Muslim religious leaders (who met me) also opined that Islam doesn't approve of prayers being offered at a disputed land. A solution is possible through a dialogue between the two parties," he said, adding, "But some elements want the dispute to go on for their selfish motives." "I do not have any ready-made formula," the spiritual leader said, adding that he believed that a solution will come through dialogue.